While I take full body Himalayan Salt baths pretty regularly, until last night I had never just soaked my feet in a Himalayan Salt foot bath. I confess it wasn’t quite as blissful as a full body soak, but it was pretty blissful. I had also made a scrub prior to my soak out of the Himalayan salt and coconut oil. About five minutes before my soak was over, I rubbed this homemade salt scrub on my feet, mostly on my heals. It’s works to exfoliate. Then I returned them to the water. After about 30 minutes total, I just patted them dry and put on some socks. This morning my feet are so soft. A little polish on the toes and I am flip flop ready! Now I must tell you, when I do any sort of Soak, be it full body, or just feet, in Himalayan salt, I make a full production out of it. I dim the lights, light candles and play meditative music on my kindle and use that time to think about absolutely nothing. This is probably a large part of why I enjoy it so much. Just bliss. Other than the mental and emotional relief I got from this Himalayan salt foot bath there are also health benefits. The salt is anti bacterial and kills germs. 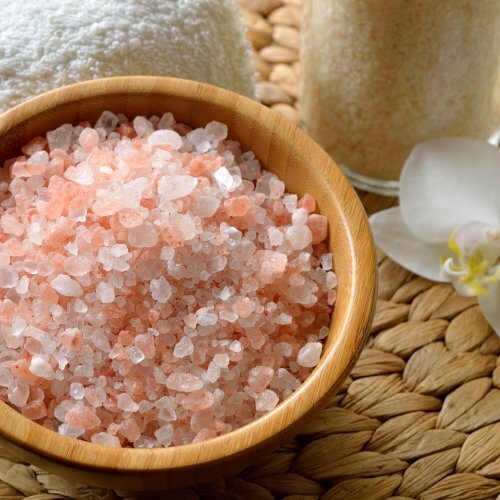 Those with athletes foot or foot odors especially can benefit from a foot soak in Himalayan salt. It is also said to help with circulation and those with foot issues from Diabetes. I can tell you, my feet were warm and yes, it seemed the blood was circulating better. I do have some minor circulation issues and my feet remained warm all night. I was also so relaxed and slept like a rock. You just need a bowl big enough for your feet. Of course if you have one of those foot tubs, you can use that, but mine is stuffed up in a closet in my spare bedroom, which at the moment is full of junk and can’t be reached easily. Any bowl will do. You can use a salad bowl or something from your kitchen if you want. 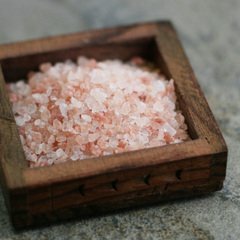 I know seems kind of unsanitary to soak your feet in something you eat out of, but the Himalayan salt is antibacterial and antimicrobial so all germs get killed. Add warm water, not hot. The recommended amount of Himalayan salt is about 1/2 a cup. It is said that the salt will keep the water warm. I did not find that to be so true, but then maybe I did not have enough salt. The salt should be added until it no longer is able to be dissolved by the water. It’s called Himalayan Sole or Himalayan salt brine found here. Just pop your feet in and relax for up to an hour. When you remove your feet, do not rinse, just pat dry. 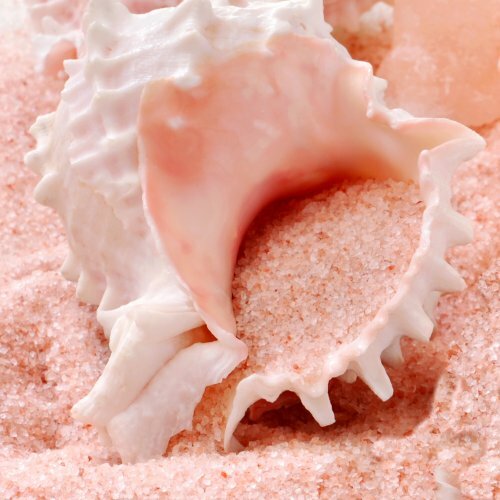 The salt will continue to act as a deodorizer and kill germs for hours afterwards. So if you don’t have time for a full body Himalayan salt bath, I would highly recommend a Himalayan salt foot bath. You can get the Himalayan salt from the Himalayan Salt Shop in bulk or you can buy smaller quantities of it on Amazon. It comes in fine ground, or you can buy it in rock form. I like the rocks, though they take a lot longer to dissolve. You will need to soak them in the water for a few hours before you begin. I am reading this two days late! I only just recently purchased a product to help with my heals but I much prefer natural remedies but hand’t found anything. 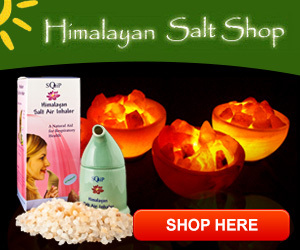 I am so glad that I now know that a soak in Himalayan Salt can help my feet, especially my heals. I see this as a regular ritual and am grateful for the knowledge, thank you!